Here’s another entry for the 2019 St Luke’s CARES Community Awards, it has been submitted by Lauren Wilson on behalf of Leeds Baton Rouge Majorettes. For details of how YOUR community group can enter please click here. We are a Majorettes troupe based in Middleton, and we hold training sessions twice weekly. Our troupe was started by our troupe leader and head trainer back in 2008, and we have just celebrated our 10th Anniversary of running. Our troupe was originally set up at the request of some local girls who were bored after school. Over the years we have gained many more members. We have 40 dancers attending the sessions each week aged from 4 – 16 years. 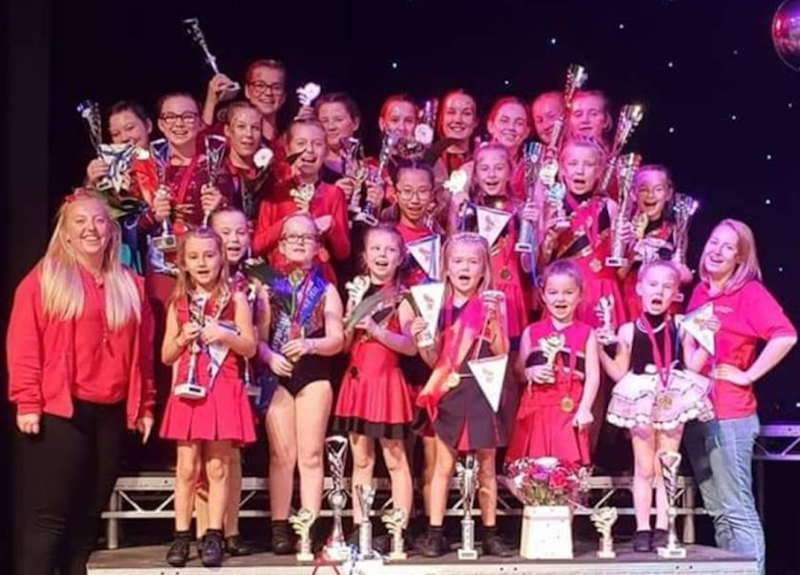 Our dancers make up our Novice, Dinky, Tiny, Junior and Senior teams who all practice routines for Dance Twirl and Pom – we also have Military teams for Tinies and Seniors. Our aim is to have all dancers ready for competitions which start in April. If we were awarded the grant we would use the money towards paying for military outfits for the Tiny and Senior Team. These would need to be custom made to match our troupe colours. Our girls would create the outfit designs themselves. We are holding a fundraising bag pack which will help towards competitions fees and equipment needed – but without outfits too, the girls will be unable to take part in the Military competitions. Our majorette sessions help keep young people involved, active and healthy. They meet new friends from different areas and from different schools. It helps teach them discipline and gives the dancers an opportunity to travel the region competing against dancers from all over the country. Some young people otherwise may not have this opportunity.